“Building cars in Australia is just not sustainable.” That was GM Holden managing director Mike Devereux, announcing the closure of Holden. Ominous words for Toyota as well. 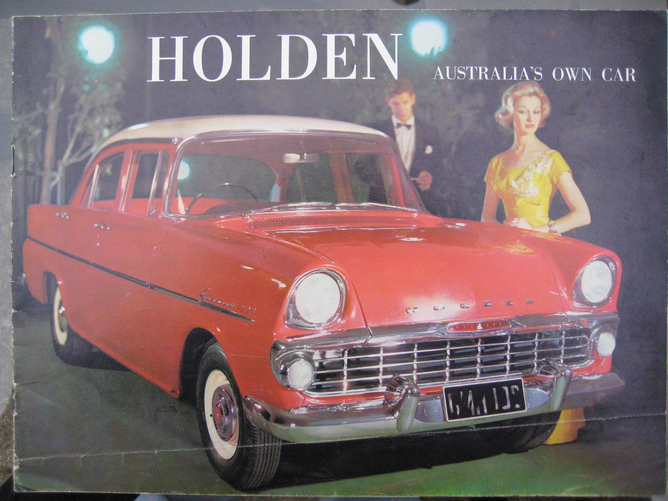 Toyota responded that Holden’s departure places “unprecedented pressures” on the company. When Ford announced its exit from local manufacturing in May this year, CEO Bob Graziano noted that Ford’s costs were double those of its plants in Europe, and triple those of its Asian factories. As the Australian dollar rose in 2011–12, the automotive products export market suffered from a competitive disadvantage, even as Europe, Japan and the US flooded markets with euro, yen and US dollars, sparking virtually-unprecedented depreciations of the world’s three biggest reserve currencies. But Holden’s departure is nevertheless a deliberate public policy choice on the part of the Abbott government. It has been clear since 1992, when Liberal leader Dr John Hewson announced a zero tariff regime for automotive products, that the Coalition parties saw no future in an Australian car manufacturing industry. Indeed, the federal government has pre-empted the findings of its own Productivity Commission, rendering whatever conclusions it reaches almost entirely moot. Could the government have intervened further in order to manage the industry’s decline in a more orderly manner? Yes. Did the government want to? Unlikely. It’s reasonable to suggest the Coalition will not lose a lot of votes from plant closures in Labor strongholds. Broadmeadows and Geelong (Ford) are safe ALP seats, as is Wakefield (Elizabeth, Holden). The fallout in South Australia is unlikely to do ALP premier Jay Weatherill any favours in the forthcoming state election. But in Victoria, where the Napthine Coalition governs with a single-seat majority, the stakes are higher. As the centre of Australian manufacturing, Victoria stands to suffer the most from Holden’s departure; 28,000 jobs are linked directly with the automotive industry, with thousands more indirect jobs at risk. Virtually every automotive firm has faced market and financial challenges since the 2008 global financial crisis. So ferocious was the financial storm that the German industry – Daimler-Benz, BMW and VW – proclaimed it the “Worst Crisis since World War II”. 100,000 German auto jobs were slated to disappear by 2018; Mercedes announced production cuts of 150,000 units for 2009. Volkswagen, Daimler, BMW and GM-owned Opel appealed to the Merkel government for loan guarantees; they sought a softening of Europe’s carbon pollution reduction scheme; and they asked for buyer subsidies. Merkel responded. Unwilling to see large scale job losses, she looked for a buyer for Opel (GM ultimately kept the company). She introduced a “cash for clunkers” scheme to subsidise new car purchases; and across industries, the German government introduced generous R&D concessions on green and electric vehicle measures. As Merkel acted, the Rudd government also intervened in the Australian industry, announcing a doubling of car industry funding to A$6.2 billion in November 2008, adding A$3.4 billion, while maintaining a commitment to reducing tariffs to 5% in 2010. The link between the automotive sector, and the skill base it generates, is well known. CAD/CAM, chassis systems, braking components, aerodynamics and safety systems are amongst the many technical knowledge bases that are enshrined in the industry. The universities are also important sources of skilled graduates in mechanical and electrical engineering. There are also spillovers into the defence materiel, construction and some aspects of the mining industry, particularly from the automotive components sector. Will auto components firms and 50,000 jobs directly connected to the industry survive? Companies that rely upon the economies and efficiencies deriving from scale associated with the local auto manufacturing industries will not. More diverse components suppliers will persist, albeit on a smaller scale. Can the auto components industry supply parts for imported vehicles? Yes. But free trade agreements (FTAs) with the US, Thailand and Singapore – and now South Korea – will mean cheap parts can enter Australia tariff-free. If the Abbott government concludes a FTA with China within 12 months, as promised, the Chinese auto parts sector would quickly devour what remains of the Australian industry.